Take a Virtual Tour of this Wonderful Hillsdale Colonial!! This is an absolutely delightful Colonial with remarkable curb appeal and a tudor exterior that is just wonderful inside and out! Priced at only $472,950, this home is a great buy! Take a Virtual Tour of this wonderul home, then call me on my cell to set up your private showing! Need more information? Click here to learn more about this home! PascackValleySoldHomesReport.com - Detailed information regarding every home that sold in the Pascack Valley region of Bergen County over the past 2 years. Featured Listings! - Browse through some of the hottest homes & best deals avaiable on today's market. One Level Living in Old Tappan! - Best priced unit at the village! A wonderful & updated Ranch that comes complete with an updated Kitchen and updated baths! Priced aggressively for the astute buyer! New Listing - River Vale Center Hall Colonial! - an absolutely delightful home with lots of goodies located on a quiet River Vale side street. River Vale, New Jersey - An Incredible Place to Live! 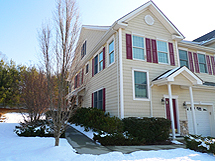 One Level Living in Old Tappan! Best Priced Exquisite Unit at the Village! This young condo is the best priced exquisite unit at the Village! With a wonderful open floor plan, breakfast bar with an open Kitchen and a Formal Dining Room w/ sliding glass doors that open to a private deck overlooking a wooded and private area, this home is one floor living at its finest! The Formal Living Room has a gas fireplace and the Master Bedroom has a walk-in closet, double closet and a spacious Master Bath with soaking tub and stall shower. On the main level there is a second bedroom and full bath and the lower level has a huge family room, third bedroom (den), half bath and enormous storage age. Attached one car garage. A best buy!! Click here for more information on this home! Take a Virtual Tour of this home, then come see it in person! Call me on my cell to set up your private showing! 201-615-5353. 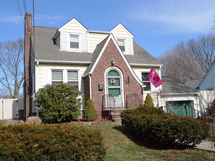 Interested in seeing more Bergen County Real Estate? Browse through my Featured Properties! Some of the hottest homes & best deals available on the market! Looking for answers so some frequently asked real estate questions? Browse through my Buyer’s Tips! · Did You Miss My Open Houses Last Weekend? – You just missed my Open Houses for some incredible homes! Call me on my cell to set up your private showing. · Take a Virtual Tour of this Incredible Hillsdale Ranch! - A wonderful & updated Ranch that comes complete with an updated Kitchen and updated baths! Priced aggressively for the astute buyer! · New Listing – Remarkable River Vale Ranch! – Click for more information on this home. · River Vale, New Jersey Real Estate! – An incredible place to live!